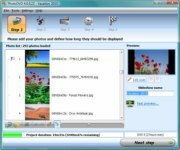 Create slideshows for PC / TV / WEB. Edit photos, playlists, and DVD Menus. Change all your slideshow settings as they are playing in real time! 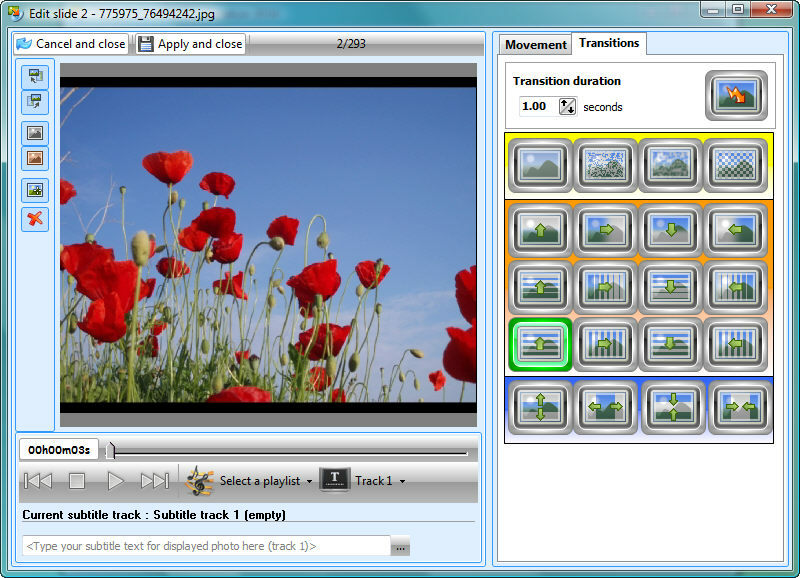 Bring your photos to life with transitions and animations. You can leave the settings on automatic for natural movement or customize the settings yourself . Photos can be rotated, and changed to black and white or sepia. Add audio playlists for different background music. A complete menu with video thumbnails and chapter points is automatically created. After following an easy 1, 2, 3 step process you can watch your photos on TV or the web and be impressed by the professional look of your creation! DVDs will play on any DVD player. Videos made for Youtube, Myspace, etc. can be made in SD and FULL HD (1920x1080)! *PhotoDVD includes a burning engine and can burn to any type of DVD. Recommended quality brands, are Sony, Verbatim, Taiyo Yuden. Feel free to contact us if you would like a format to be added that is not currently supported by our software! Love it! Easy to use. Great results. good software. Easy to use. Does what I want. Excellent Program. Does what is expected!